Paul Jorgensen drives to the basket during a game this season. Jorgensen and the Bulldogs face St. John’s on the road on Feb. 12. Jimmy Lafakis/Collegian file photo. After a road win at Georgetown, the Butler men’s basketball team continues their road trip to Queens, New York to take on Shamorie Ponds and the St. John’s Red Storm. Here’s what you need to know as the Bulldogs go for three straight wins. Either stop Shamorie Ponds, or stop the rest of the St. John’s supporting cast. When St. John’s struggles, either Shamorie Ponds is stopped, or he’s the only one who does anything on the offensive end. In St. John’s last loss at home to Providence, the other seven Red Storm to see playing time combined for 36 points on 35 percent shooting, and that’s with LJ Figueroa scoring 14 of those points. As a result, St. John’s only scored 56 points as a team and lost to Providence by 14. Putting an emphasis on one or the other puts St. John’s in a tough spot and is the key for Butler defensively. It also doesn’t hurt to hold St. John’s to 16.7 percent from beyond the arc, which is what the Friars did on Feb. 9. Butler needs 25 points combined from McDermott, Tucker, and Jorgensen. Butler struggles mightily when the 3-point shot doesn’t fall. In other words, they struggle when their three biggest outside threats, Sean McDermott, Jordan Tucker and Paul Jorgensen, struggle from beyond the arc. The reality of the situation is that these players are largely one dimensional and struggle on offense if they aren’t knocking down shots. When these three players combine for 25 points or more, Butler is usually in a good spot to win ball games. Against Georgetown, they combined for 33 points and seven 3-pointers. A similar occurrence came against Seton Hall, when they combined for 32 points and seven 3-pointers. On the flip side, they combined for less than 25 points and only three threes in Butler’s home loss to Marquette. Due to Butler’s dependence on the 3-pointer, their perimeter threats have to shoot the ball well. Butler needs another road win, and this is a reasonable chance to get it. At this point in the season, Butler sits at 5-6 in conference play and tied for third in the conference. It looks like 9-9 in conference will get Butler at least a share of that third place spot heading into the Big East tournament. 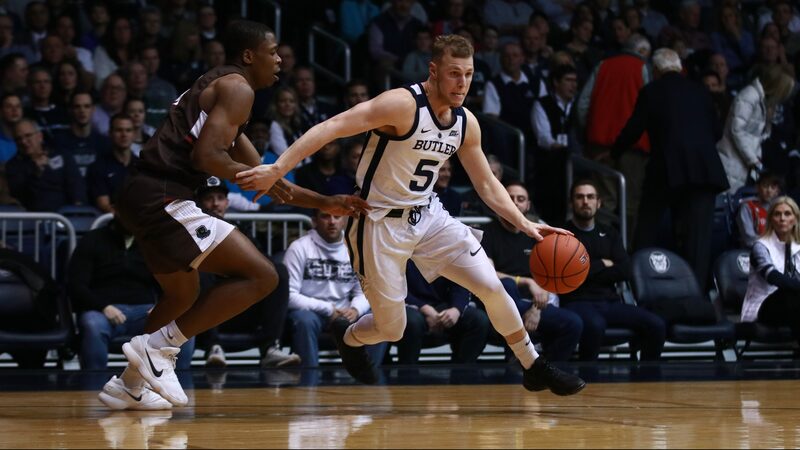 For Butler to do that, they need to win all three games left at Hinkle Fieldhouse – against DePaul, Providence and Xavier – and win one of their remaining road games. There’s a good chance they get it at Providence on March 9, but it’s reasonable to suggest they could get it against St. John’s. 9-9 in conference play and one win in the conference tournament more than likely gets the Bulldogs into the NCAA Tournament. That’s certainly a doable task and the Bulldogs can take a big step towards completing it against the Red Storm.